BCFWstruct is a Matlab implementation of the Block-Coordinate Frank-Wolfe solver for Structural SVMs. 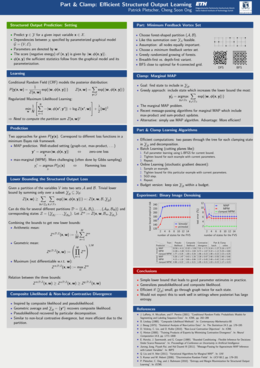 For more information about the algorithm please check our ICML 2013 paper. 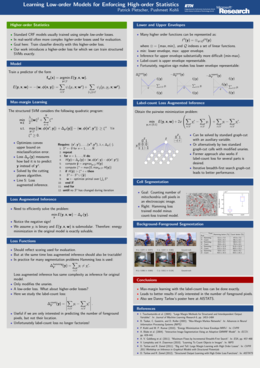 Code implementing the two LPQP algorithm variants introduced in our ICML 2012 paper. The code might also be useful if you just want to solve an entropy-augmented LP MAP relaxation (without the QP constraints). Includes MEX wrappers so that most of the C++ functionality can be used from within Matlab. The experimental evaluation script for grid graphs can also be found on Github. This also showcasts how to use the Matluster package. 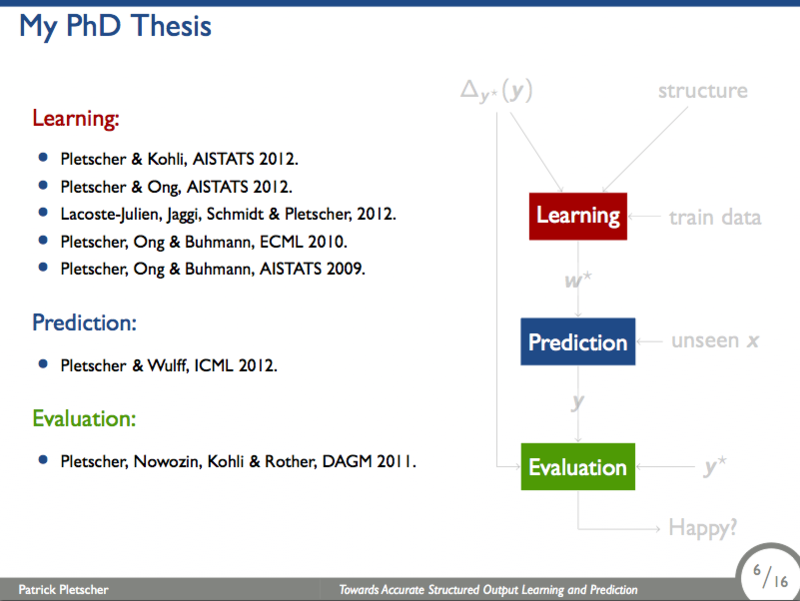 Implementation of the higher-order learning approach described in our AISTATS 2012 paper. Simple MEX wrapper to perform MAP (sometimes also called MPE, for most probable explanation) inference for binary energies and pairwise graphs using maximum flow. The code for the actual inference is written by other people and you should consult the corresponding READMEs for questions about the copyright or how to appropriately cite their works in any of your publications. Nonparametric Baysian Biclustering with a Double Mixture Model. This work was carried out in parts during my master's thesis. A collection of Matlab scripts to perform grid-search computations on a cluster. They can come handy if you have to evaluate say a Machine Learning algorithm for many different hyper-parameter settings or different cross-validation folds. I use these scripts on the ETH cluster, which uses LSF for the job scheduling, but it should be relatively straightforward to modify the scripts to work in combination with other job schedulers. An example of how to use the package can be found on Github. A simplistic theme for beamer. It is based on the fantastic Flip Beamer template. 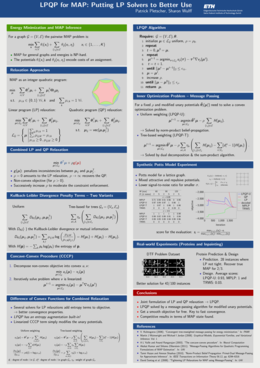 Also check the theme below for a matching theme to create posters using LaTeX. A simplistic theme for beamerposter. I use it to create all my scientific posters. The theme uses the Tango color palette. Below are a few example posters created with the theme.